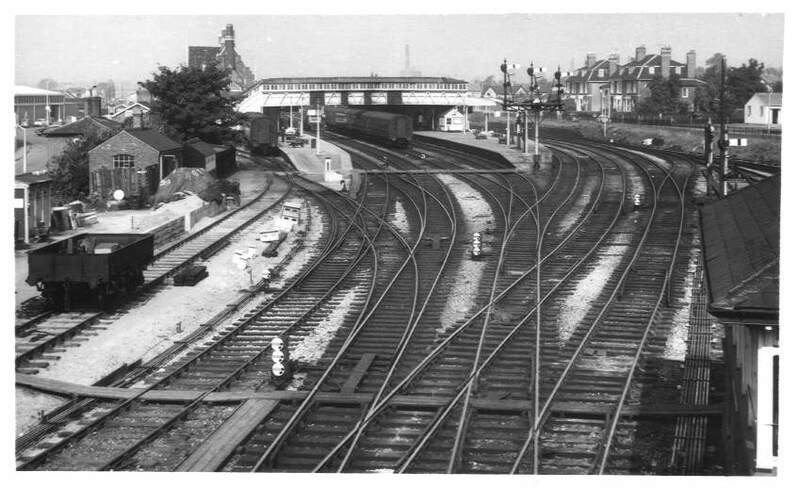 Another card model is the footbridge that spans the tracks at Barrs Court Station, made using layers of card to build up the different steel and timber frames which made up the footbridge as shown in this photo by D. J. Norton (see http://www.photobydjnorton.com/Stations/Hereford.html). 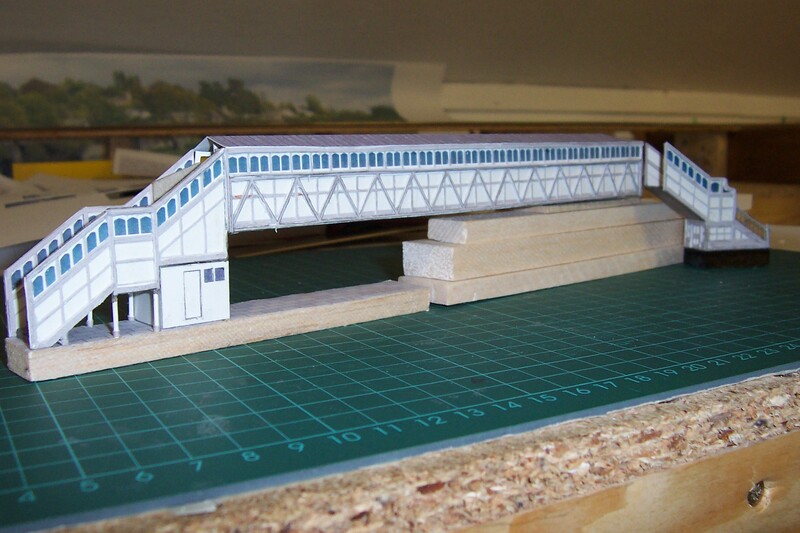 The footbridge took absolutely ages to make. It was drawn on the computer using ‘Paint’ as a series of layers which were then printed onto card and carefully cut out before building the layers up using PVA glue. 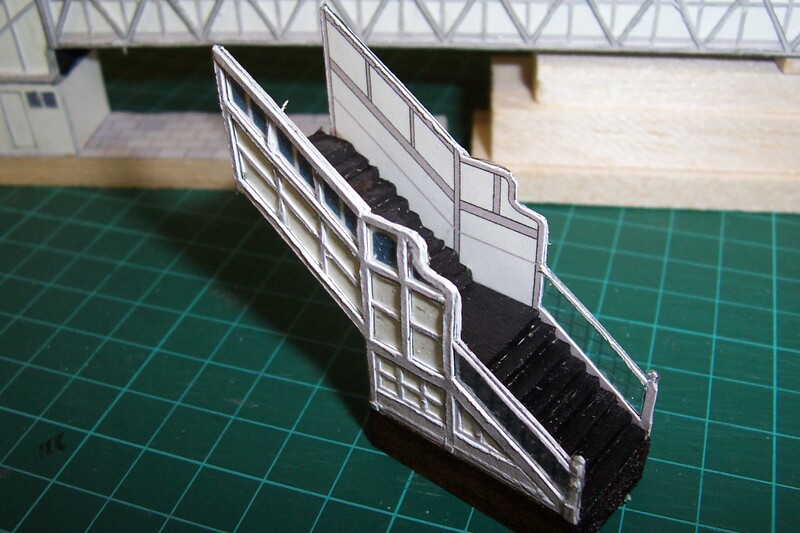 The last photo shows the footbridge in position on the layout. 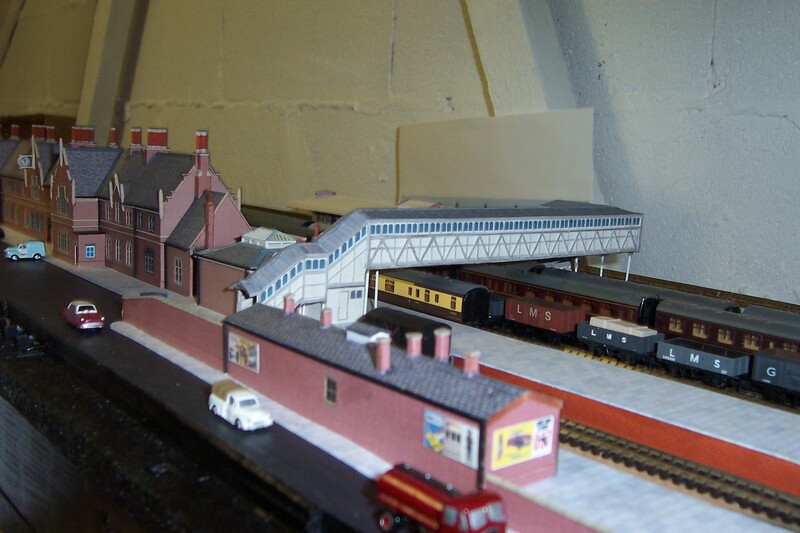 This entry was posted in Model Railway, Railways Blog on January 5, 2014 by rogerfarnworth.